Mumbai, Nov 3 (IANS) His Maharani act in “Sadak” and his genuine personality are trademarks that the late actor Sadashiv Amrapurkar will always be remembered for, said celebrities from the Hindi film industry. Megastar Amitabh Bachchan, filmmaker Madhur Bhandarkar and veteran actor Anupam Kher were among the popular names to condole the death of the versatile talent, who breathed his last early Monday at a hospital here. He was 64. Amitabh Bachchan: Waking up in Kolkata to the sad news of the passing away of Sadasiv Amrapurkar…a colleague and a gifted talent…prayers! When a colleague suddenly passes away there is a sudden vacuum, of times spent together, of acknowledgement of their work. Madhur Bhandarkar: An effortless actor, Sadashivji had his own style & always brought something unique to the table. We have lost a genuine human being. RIP. Saddened to hear about the demise of #SadashivAmrapurkar. I had the privilege of working with him in my debut film Trishakti. Pooja Bhatt: Sadashiv Amrapurkar, the most relevant villain after Gabbar Singh is gone…reminds me yet again that life is too short. Love hard. Love more. Milap Zaveri: RIP Sadashiv Amrapurkar. A great and talented actor be it comedy or villainy. His “Maharani”in #Sadak will always be legendary. Ashoke Pandit: Sad to know about the demise of Sadashiv Amrapurkar a Grt theatre & film actor. Superb human being. Will miss U Sir. RIP. 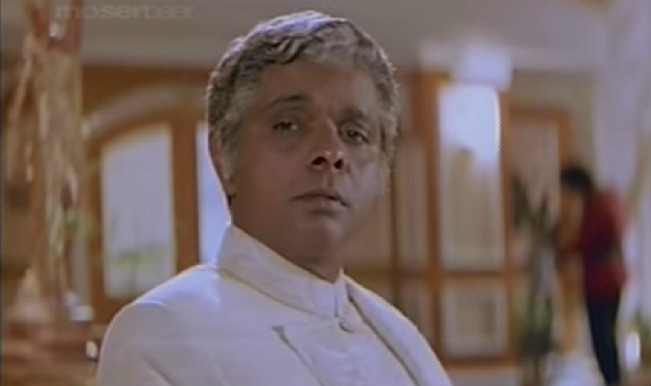 Every character Sadashiv Amrapurkar portrayed is immortal.Sadak is a classic example. Salutes to you Sir. Will miss U. RIP. Kunal Kohli: #SadashivAmrapurkar ‘s portrayal of #Maharani in #Sadak rates as one of the best by a villain ever in Hindi cinema RIP. Riteish Deshmukh: Rip Sadashiv Amrapurkarji- a great actor & a super human being. I was looking fwd to working with him in @Bankchor. Miss you sir.